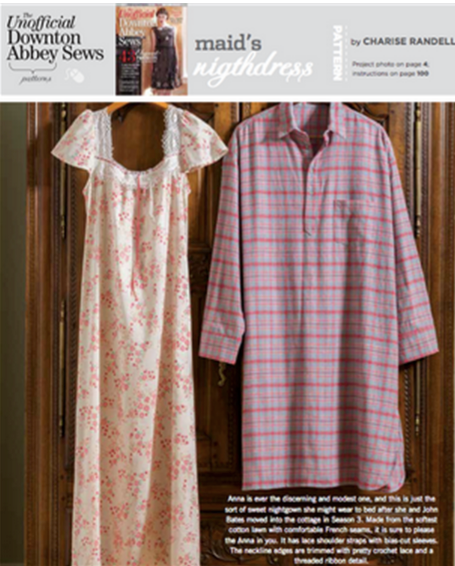 Last year you could get the Unofficial Downton Abbey Sews Magazine from the Sew Daily Shop. It is actually still available and if you are a fan of the show or the time period there are some pretty nice patterns in there. 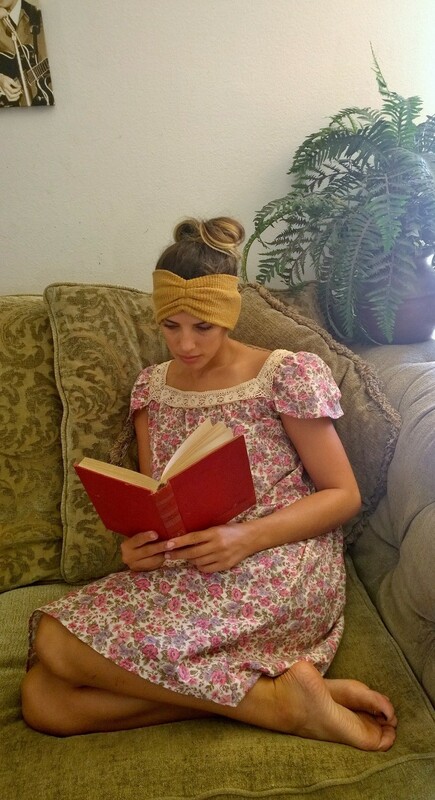 When I spotted the nightgown it reminded me of the summery cotton nighties my mom would buy me and I knew I HAD to make a few. 2 of my girls agreed they would wear them so I decided to make one for each of them. The fabric in this one is a quilting cotton I bought at Joanns well over 15 years ago. I made a little girl dress out of it and this was the leftovers. I know I know. That is a lot of leftover but hey! It has come to some good use now! The lace is a crocheted cotton lace I found in my collection of lace, ribbons and trims box. I could not even tell you how long I have had it- I do not even remember buying it! It was pure white and this pretty floral fabric was not white so I tea-dyed it. Here is the second nightie I made. This one is a little fuller than the first one I made. I wanted to try it with the same amount of fullness that was at the bottom of the long nightie pattern so folded the pattern pieces strategically to get that extra fullness. I like it! 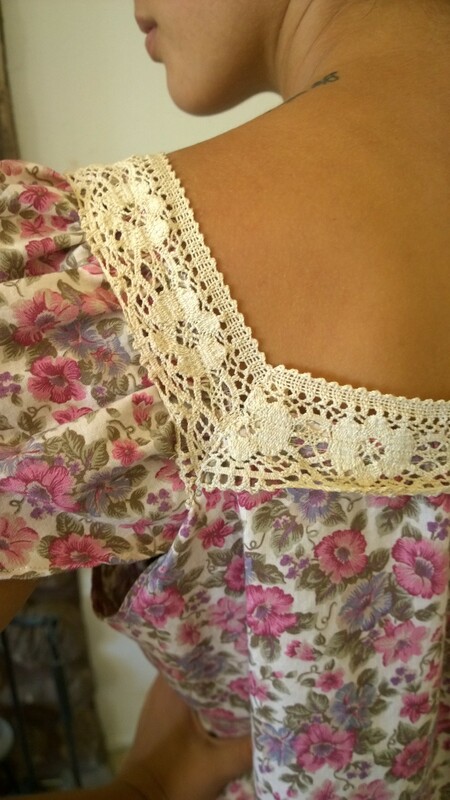 I used the un-tea-dyed half of the pure white lace to trim this one. You will notice the lace is set up higher than the other one I made. My mistake and I did not want to take it out. But it works right? If you would like to read more you can visit my blog! It is with great excitement that I present to you the pilot episode of The Hollywood Sew! Based on creating a dress inspired by Downton Abbey, I hope fans of both Downton and of sewing will enjoy this design video. Please like/share/subscribe etc if you want to see more, as I need enough interest to get the next episode rolling. You can see the trailer and more projects at thehollywoodsew.com. Most importantly take a break and enjoy watching! I am sewing this 1910’s blouse at the moment as a mock-up for the real deal. I just can’t figure out the instructions for the cuffs..if you click on the pictures you should be able to zoom in and read it. Could anybody help me out? I have never come across cuffs like this before!